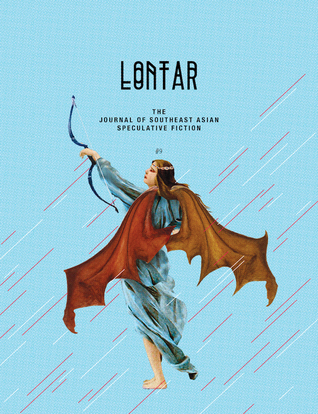 This issue of LONTAR presents speculative writing from and about Vietnam, Brunei, Singapore, the Philippines and Indonesia. and speculative poetry by Mariel Annarose Nicole Alonzo, Melvin Chen, Russ Hoe, DA Xiaolin Spires, Inez Tan and Lakan Umali. Also included is a special supplement: the continuing seralisation of Dean Francis Alfar’s brilliant novel Salamanca, winner of the Palanca Award Grand Prize for the Novel and the Gintong Aklat Award for Literature. The top part of the mahogany secretary is a glass-front case, in which Raoul keeps the curios that he has gathered from his years in Tonkin and Cochinchina: yellowed ivory statues of the Daoist Immortals from Chinese temples, porcelain dishes said to be exact replicas of the ones used at the Imperial Court in Hue, and a white statue of the bodhisattva Quan Am—and it’s an odd thing, because she’s seen that statue for months and never even thought of it, but tonight she finds herself mouthing a prayer in a language she’s almost forgotten, a simple sentence asking Quan Am to relieve the suffering of mortals, and she doesn’t quite know which well the words come bubbling out of—a feeling of standing on the edge of a dark abyss that frightens her. What else has she forgotten, when she was here with Raoul? There is a sword in one of the middle shelves—a curved, single-edged weapon that looks…brand new, almost gaudy, with a simple straight hilt, and a grey blade—except that the blade is covered with intricate etchings, patterns that swirl and dance even as she watches—coalescing into the hints of familiar shapes, then breaking apart again as soon as her eye focuses on them. It…it ought to remind her of something, but the memories elude her—there’s anger and a crushing emptiness, and she can’t hold on to the feelings for long. The magic pulses again—draws her gaze to the bottom shelf of the case, the one nearest the desk. Behind the jade ornaments and the alignment of ornate hairpins are two scroll-sheaths, ornate copper cylinders with sculpted dragons, their snouts meeting lightly, as if for a kiss; their eyes tiny beads of black stone, their moustaches flowing twisting twigs of metal. It’s not the sheaths that matter, she knows—with that same absolute certainty that put the words of the prayer to Quan Am in her mouth.